Budapest isn’t one of those cities you fall in love with straight away, in the blink of an eye, without thought or doubt or hesitation. When you emerge dirty and travel-worn from the mire of Hungarian subway signs, you’re not immediately welcomed with open arms. You’re treated with the courtesy and kindness that is due a guest – but you haven’t come to a city willing to throw itself in your path, the people here will not vie for your attention. Instead, when you first step out of the depths of the train station, they seem to tuck their chins a little deeper into their coat collars: there are too many walls to hide behind. I was worried at first. The lights of Istanbul were still dancing in my eyes when I arrived; the overwhelming greyness of Budapest is a slap in the face compared with the roar of colours and sounds and smells and tastes of Turkey. Walking through Erzsébetváros, the old Jewish quarter, you’re struck by the pervading sensation of walking through a ghost town. Shadow-shaped people and people-shaped shadows lie thick and stagnant in pools of silence: everywhere you go you wade through spectres of the past. At first, you get the feeling that this is a city past its prime. Its glorious golden days are over, and the same grey dust now disintegrates both the spartan Soviet-era apartment blocks and the extravagant creations of the Hapsburgs that resemble wedding cakes more than they do buildings. The dust eats away without distinguishing either: time does not discriminate between regimes. And once he said that everything kind of shifted and made sense. Because it’s true: once you get past the decaying, crumbling buildings and the blank shuttered faces, Budapest is probably one of the coolest cities you’ll ever go to. There’s no other word for it: it’s just so cool. These people are the original hipsters. They don’t care what you think. They have spent so many centuries being told what to think and how to act and what to do that now when they finally have the chance to kick up their heels they do it with barely a glance to anyone else. They take their chance and they run with it. The walls they’ve built up over the centuries of oppression are still there but they’ve drawn all over them: the street art here is everywhere. There are no blank buildings anymore, only explosions of colour and silent expression. You hear about the music that permeates Austria. Nannies singing Mozart operas to the prams they push along the Danube, old men humming sonatas as they step off the bus – you expect these things from Austria. You don’t expect them in Budapest, nor do you expect the sheer unadulterated joy with which this city embraces music. I’ve seen more than my fair share of concerts and plays and operas but I’ve never been to a performance where the energy and happiness of both the audience and the players was quite so palpable. It wasn’t an unusually well-executed ballet – the costumes were beautiful and the dancing was impressive and the music was light and lovely. But something made it sparkle: they were happy. Everyone was so happy to be there. And that lifted it from average into magical. The wonderful thing about Budapestians is that they don’t care. They don’t seem to look at each other for social cues, they seem to act as one without even thinking about it. You go through so many touristy areas in so many cities, get dragged down by so many street hawkers trying to take your money, and it’s a strangely delightful feeling being in such an utterly natural city. 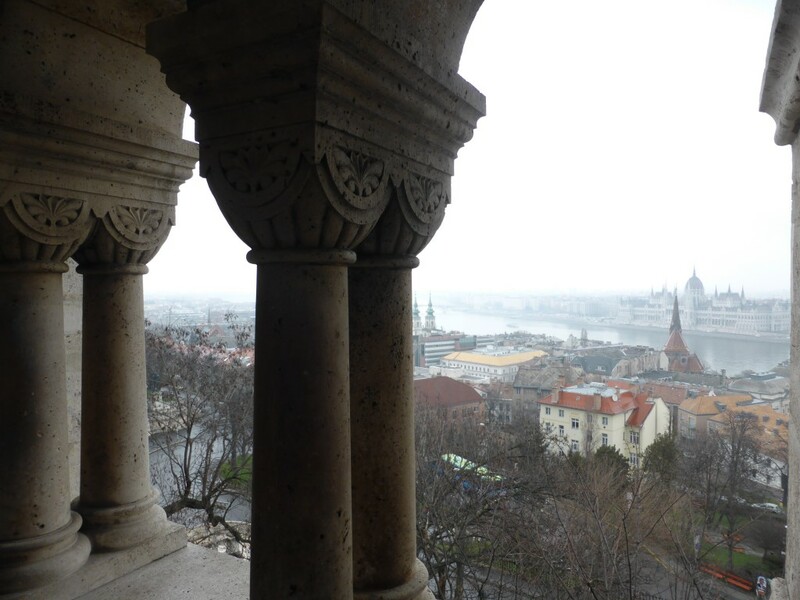 Budapest doesn’t try to show you who it is, but neither does it try to hide from you. They do what they want, when they want; if you happen to be there to witness it then so be it and if not, life moves on. The most famous of all the famous ruin bars in this city is Szimpla. In Szimpla they have taken the bones of their past in the darkest corners of their history and they’ve created the wildest of dreams. Entering it is like entering a Dali painting. 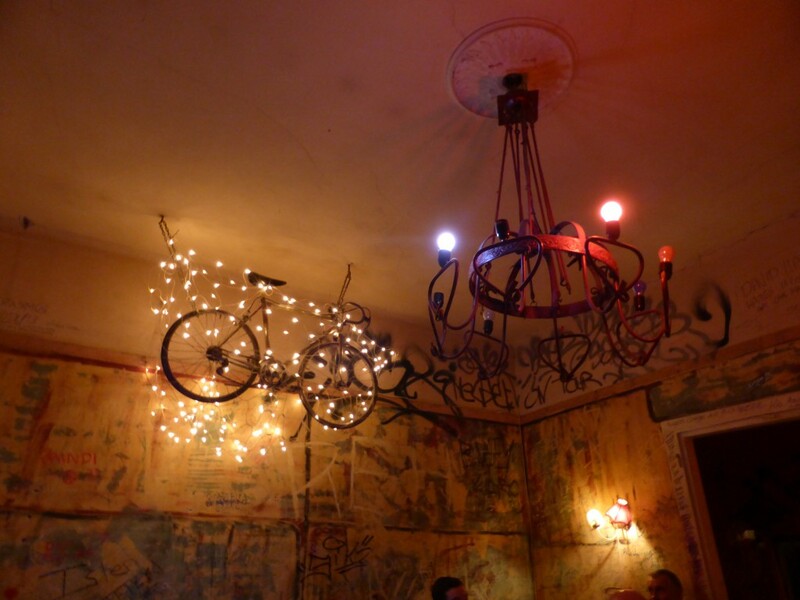 There is a jungle in the middle of the main room, where both floor and ceiling should be, a bike decked in Christmas lights hangs midair. 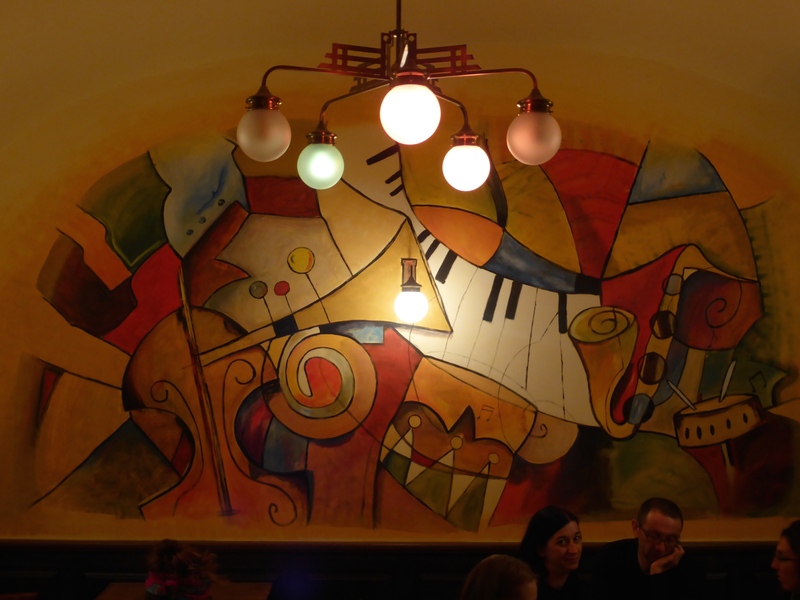 Every room is a new adventure, a new discovery into a madcap and utterly, effortlessly debonair world: they took the destroyed and empty buildings of the crippled Jewish quarter and turned them into art, into places of laughter, expression, freedom. The walls of Budapest are there, but they are not impermeable: you don’t have to be there for very long or try very hard to break past them and find a city that doesn’t care what you think but will go on being exactly itself and nothing more. As a tourist, you don’t feel like a tourist. They don’t treat you any different than they would treat the Hungarian next to you. Instead you feel as though you’re a spectator to a world unknown, watching the cars rush past and the people float by as if you’re not even there. In Budapest they have an insatiable hunger for life and they don’t care who knows it. I think I fell in love with Budapest. It took a little longer but then I’ve often found it’s the places that don’t send me straight into starry-eyed raptures – those are the places that stay with me. Somewhere in between drooping over the Széchenyi Bridge under a flat unforgiving leaden sky, and craning my neck over an elegant couple with matching thick shocks of wavy white hair to see the wine-coloured velvet curtain soar above the Hungarian National Ballet, and turning the corner to be greeted by a towering street mural, I fell in love. I fell in love with the art that is everywhere. I fell in love with the dilapidated buildings and the laughing waiter carrying slow-roasted duck that melted in my mouth and the curving silvery Danube and the triumphantly shining Parliament buildings. I fell in love with the walls and with what lies behind the walls, and I don’t regret a moment of it. 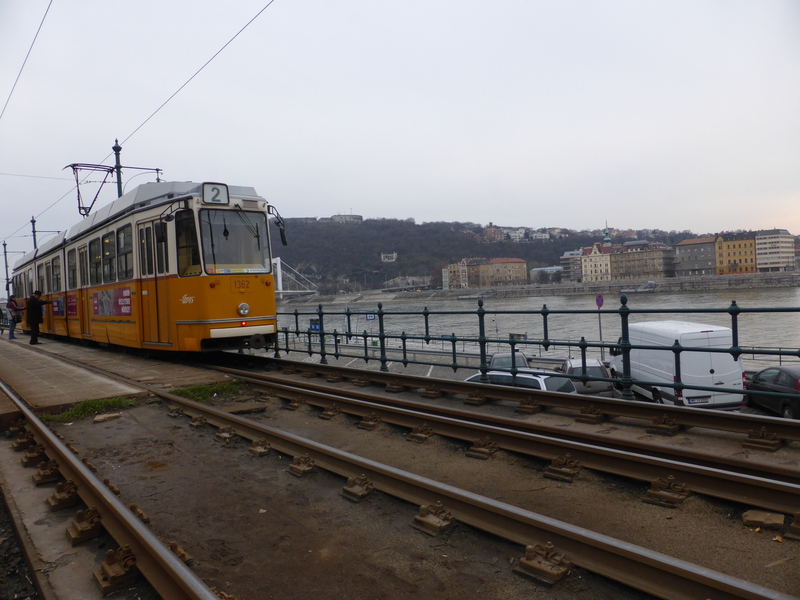 This entry was tagged budapest, culture, erasmus, hungary, rebuild, travel, walls, year abroad. Bookmark the permalink.